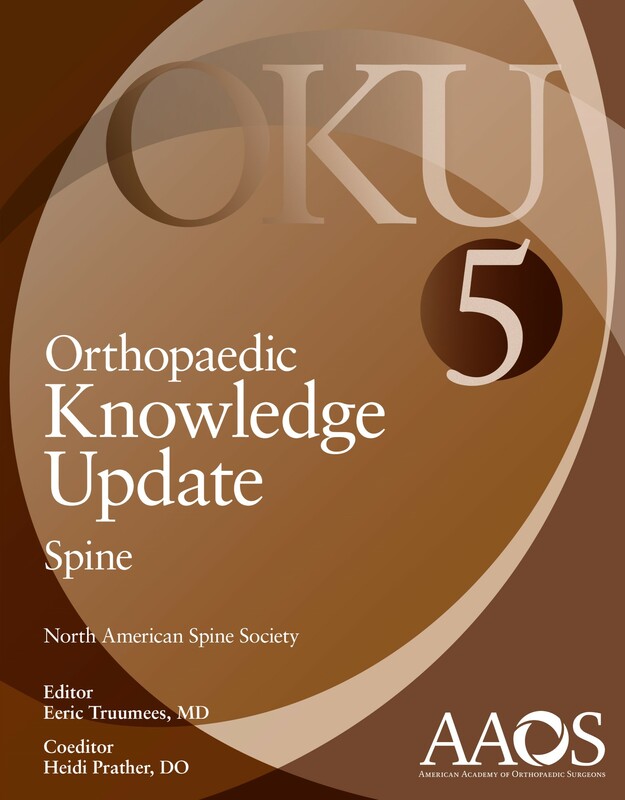 OKU: Spine 5 captures a balanced review of the vastly expanding body of increasingly specialized spine clinical and surgical knowledge to keep you in the forefront of adult and pediatric spine care. World renowned contributors offer a critical evaluation of the latest approaches and techniques, including an overview of treatments available for patients trying to avoid surgery, preparing for surgery, or following surgery. All new content is organized into 8 sections, providing an accessible reference for both ongoing review, but also for practical application with patients. The book integrates both interdisciplinary and transdisciplinary approaches to spine care to help ensure the highest level of patient care. Explore rapidly evolving treatment areas such as idiopathic sacroiliac joint pain (and the new minimally invasive stabilization procedures), evolving concepts in spinal deformity (such as new ways to assess sagittal balance), and new concepts in the assessment and management of spinal trauma and tumors. An extensive annotated reference section allows easy exploration of topics of special interest. Developed in partnership with the American Academy of Orthopaedic Surgeons.